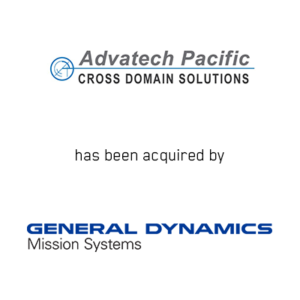 Irvine, CA (May 3, 2017) – Janes Capital Partners is pleased to announce the sale of Advatech Pacific’s Electronics & Communications Division (EC Division) to General Dynamics Mission Systems. Located in Dayton, Ohio, the EC Division designs and manufactures tactical, cyber-secure, cross-domain products. The Business provides its TACDS™ and CenturionCDS™ cross-domain product lines to the U.S. Department of Defense and international military customers. Janes Capital Partners served as the exclusive financial advisor to Advatech Pacific. The Janes Capital Partners deal team included Stephen Perry, Managing Director, Ilana Germaine, Vice President and Ken Fukumoto, Associate. Sidley Austin LLP acted as legal counsel for Advatech Pacific.